I don’t think I fully appreciated a good oven-braised pot roast until I turned 40. It’s a great thing. 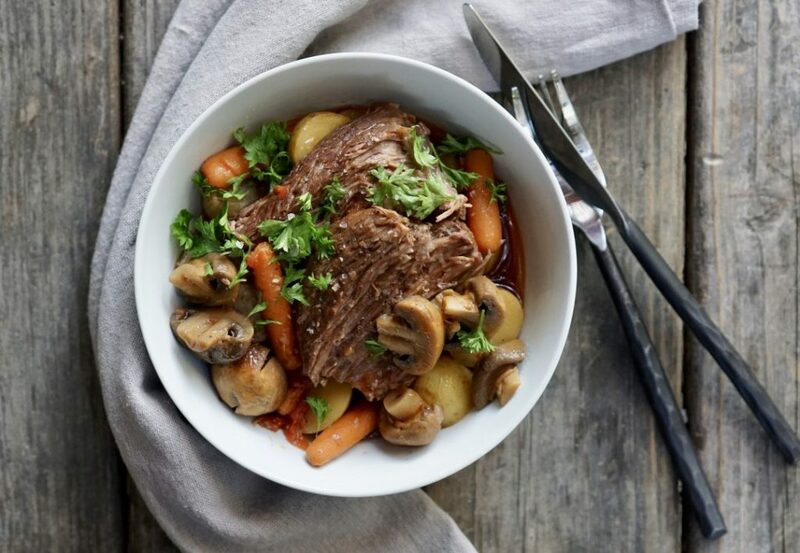 Pot roast is a generic term for browned meat cooked with vegetables in a covered pot. 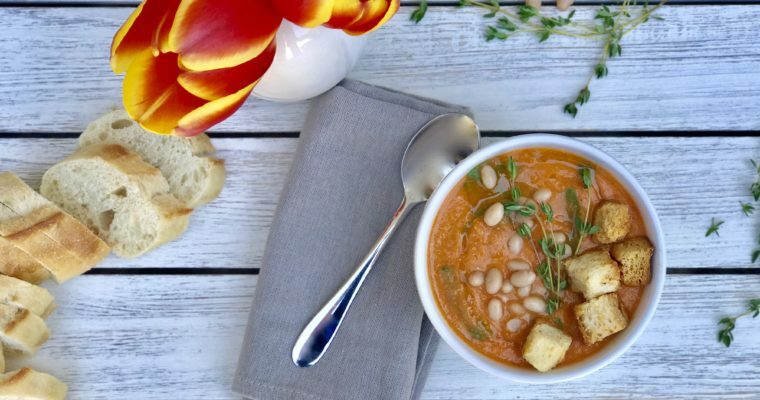 It began appearing in cookbooks in the late 19th century. But this cooking method known as “braising” (or slow cooking in liquid) has been around for centuries. 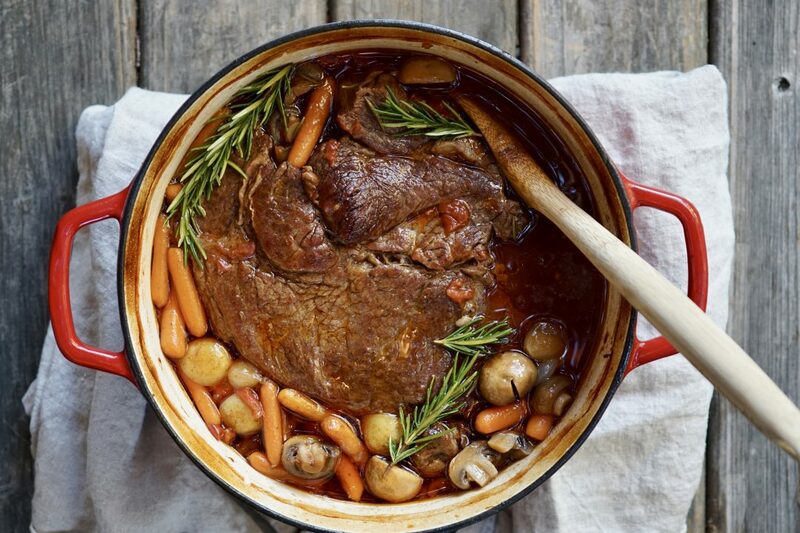 Proper pot roast technique requires pan-searing the beef before slow cooking it in a covered dish with liquids. 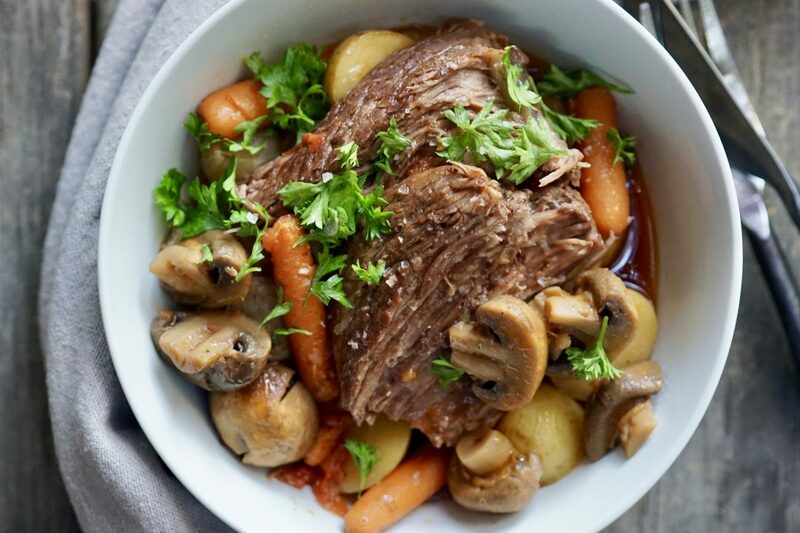 In North America, when vegetables and potatoes are added the dish becomes a “Yankee pot roast”. Cuts such as chuck steak are popular for this technique because they are tougher. 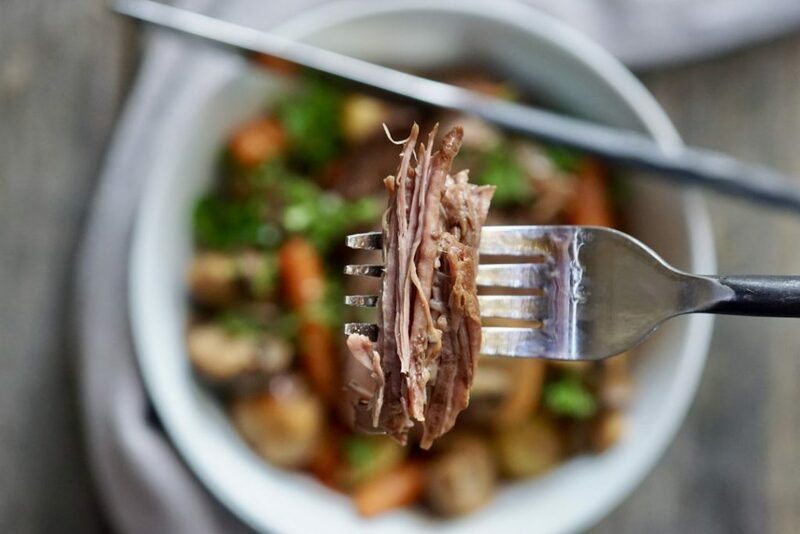 While the toughness of the fibers makes the cuts less desirable for roasting, braising allows the meat to break down, all while creating a rich flavorful beef broth in the process. The end result is tender, juicy meat that no one can pass up. I can’t be sure but maybe the name “pot roast” itself was off-putting to me as a child. The French call their version of this classic dish boeuf a la mode; to me, that kinda sounds more enticing. 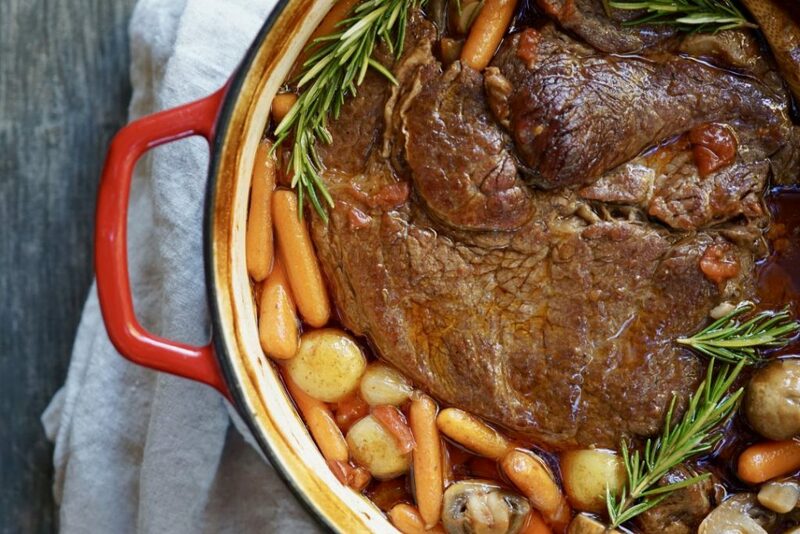 The real tricks to making a great pot roast are (1) proper seasoning (most common issue), (2) using good quality wine and beef stock, and (3) time. Braising the perfect pot roast is not complicated at all, but you can’t rush it. 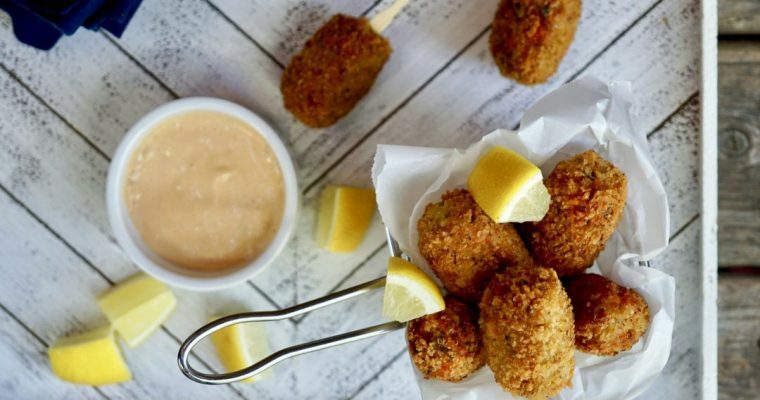 Once assembled, all you need to do is place it in the oven and let it cook; it’s that simple, and it’s almost foolproof. Step 2 Place the oil in a Dutch oven and place over medium-high heat. Season the beef roast well with salt and pepper. When the oil is hot, but not smoking, add the roast and brown on all sides, about 12 minutes. Remove the roast from the Dutch oven and let rest on a large plate. Set aside. Step 3 Add the onion and cook for about 1 minute. Add the garlic and cook until fragrant, about 30 seconds. Add the tomato paste and cook for an additional minute. Add the wine and use a wooden spoon to scrape up any brown bits on the bottom of the pan. Bring to a boil and reduce by 1/2. Step 4 Return the roast to the pan. Add the diced tomatoes, beef stock, potatoes, carrots, mushrooms and bay leaf. Cover and place in the oven. Braise the pot roast until tender, about 3 1/2-4 hours. Step 5 Remove from the oven and allow to cool slightly before serving. Divide among serving bowls and garnish with chopped parsley. Made this awesome dish. My first time ever making pot roast. Everyone loved it!!! Love hearing this Julie!!!!! You are awesome.